I had grown up thinking medicine was free of the prejudices, if not sheer ignorance, rampant in the everyday world where resistance to anything new seems a given. Let’s face it: we humans don’t like having the security of our assumptions challenged. The truth is that the history of medicine shows the same proclivity for stubbornness or subordination to the weight of custom as elsewhere. In his riveting study, Doctors: The Biography of Medicine, physician Sherwin Nulan recounts the story of Ignac Semmelweiss, a young Viennese physician in the 1840s, who observed that women delivering their babies in hospitals died of puerperal, or bed fever, considerably more frequently than those delivering at home. He did his own research to find out why, ultimately discovering a link between medical student routine and maternal deaths. Each day, students and profs would examine cadavers in between visiting patients. Although they didn’t have any notion of germs back then, Semmelweiss ultimately concluded that “invisible cadaver particles” on the hands of students and attending physicians was the source. In short, he had discovered the role of infection in promoting illness. Instituting a protocol of his students’ washing their hands in a chlorine solution, he saw a dramatic drop-off in mortality. His colleagues, however weren’t amused by this young upstart, whose research implicated them in so many deaths. Consequently, Semmelweiss didn’t publish his research for fifteen years. By the 1860s, Louis Pasteur’s germ theory had entered into medicine, though it initially wasn’t widely accepted. In Britain, Dr. Joseph Lister decided to apply the notion to post surgical infections, which were nearly always fatal. Discovering that a neighbor city had poured carbolic acid down its drains to eliminate a potent sewer stench, he concluded that the acid had killed microorganisms similar to those Pasteur had identified. Applying this concept to surgery, he employed wound dressings saturated in carbolic acid. Later, he added spraying the entire surgical area with the solution. Ultimately, he expanded the solution to washing his hands and instruments. 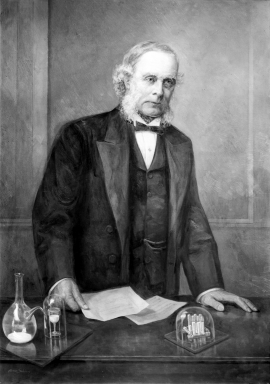 Lister published his successful results in 1867, inaugurating the formal beginnings of antisepsis. It would be another generation, however, before Lister’s innovations became universal. It was only in the 1880s that doctors had finally moved beyond a solely antiseptic solution to changing their clothes and boiling their instruments, sutures, towels, and sponges and adopting a ritual of vigorous hand washing. In 1893, Dr. William Halsted became the first surgeon to wear a surgical mask. In the 1920s, white garments and linens became universal, though the former now seems to be giving way to darker shades again. Infection still remains a serious threat and the shorter your hospital stay, the better your odds. Each year, nearly 2 million patients experience infection and 100,000 die. Even with today’s antibiotics, infection looms as a serious menace, complicated by the increasing rise of resistant, highly contagious bacteria strains. The bottom line in medicine is that what we don’t know often governs more than what we know. After several thousand years, we overwhelmingly treat symptoms, not causes. Now and then, however, a Semmelweiss or Lister appears like some new Columbus, charting a vastly different terrain leading to a New World. Thus, it behooves medicine to be open to self-scrutiny, forfeit vested authority, tradition, and prejudice. Only in this way can we find the breakthroughs that advance our safety, promote our healing, and perhaps offer sovereignty over some of our most chronic diseases like cancer. This entry was posted in Health, People, Reflections and tagged infection, infectious diseases, Joseph Lister 1st Baron Lister, Lister, Louis Pasteur, medicine, New World, Perioperative mortality, Semmelweiss, William Stewart Halsted. Bookmark the permalink.